I started blogging April 2013. My favorite part about book blogging is discovering new books and authors that I otherwise would not have heard of and that I have come to love. Paranormal, romance, scifi/fantasy, and some YA are my favorite books and they are the ones I usually blog about. The first time an author asked me to review a book is still the best thing that has happened. That and being a feature here. *Sorry I haven't commented the past few weeks and that my linky was messed up last week. I've been on vacation. Now I'm back in town and ready to comment! Stick them on my bookshelf where they gather dust, because I can't bear to get rid of them! Most of the time, though, I return them to the library. More and more, I'm reading e-books so I delete them off my phone so they won't take up memory but keep them on my account. How do you handle a book you don’t like? Do you DNF or do you power through? I find it hard to part with any books so my shelves, both physical and digital, are overloaded. I'm following your blog on bloglovin! You can check out my blog at http://thewiseserpent.blogspot.com/. I write about books, music, and writing (among other topics). Mine always go back to the library too. I noticed you didn't comment. Glad to have you back! This is my first FF :) Following via GFC and bloglovin! Ebooks are awesome when you read a lot because they don't take up physical space. I love them. Twitter follower! My FF. Ha! Yeah ... I usually shelf mine so they can gather dust. I'm loving the eBooks more and more, though. I like keeping mine, but I'm starting to want to get rid of ones I don't love. I have to make room for new books! I have a hard time getting rid of books too. Right now I have more books TO read than I have actually read. This is my first feature friday and I'm a new book blogger too. New email follower. Yeah I keep 99% of mine too on shelves to get dusty, although I do dust them once a week!! If I happened to dislike one I put it in the donate pile that usually goes to the library and then they sell it to benefit the library! I can't bear to get rid of my books either Alison! I covet them and like to see them on their shelves looking all pretty. I'm a big re-reader though, so I go back to many of them again and again. Sometimes I even have to go buy new copies because the old ones just get worn out from being handled so much:) Hope you have a fantastic weekend! I didn't think to talk about ebooks, Alison. Yeah, I definitely archive them...so I can put a new one on my reader! LOL But physical books go on my shelves 9 times out of 10. I do those things too. I've been doing a lot of library books lately but have decided to cut back because I have so many on my kindle and shelves to read and since there's a deadline on library books, I always read them first. Really need to get to the others, you know? Happy Friday! I'm a total bookhoarder too, Alison. If it's a book that I absolutely do not want, I give to the library, but for the most part I like looking at all my books on my shelves. I hope you had a nice vacation! Welcome back Alison, and thanks for stopping by! I'm pretty much the same. I'm thinking of doing a giveaway of some of the ones on my shelf though. BUt lately I'm either an ebook person so they stay in my account or a library person. Happy Friday! It's so hard for me to get rid of books. Even the ones I my e-reader I have trouble archiving (and I know that they're still in my account). There's something about just being able to look out and see the books. I really need a job in a library or a bookstore LOL! Have a great weekend! Seems eBooks have changed the way a lot of people deal with books. I haven't deleted any of my eBooks! I don't know why it's easy for me to get rid of paper books, but I keep ALL my eBooks! I guess because I have "room" for them. Thanks for visiting. I find it hard to part with them, too. I do keep my really favourite ones, and the rest I donate to a hospice. 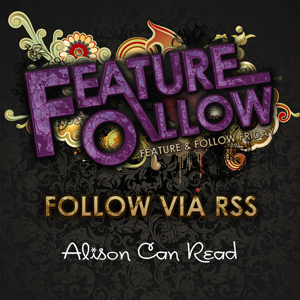 Thank you for stopping by my FF, Alison. I'm a book hoarder. It's really bad. I switched to Kindle to keep from being buried alive! I use the library, so i can't really hoard books, which is unfortunate. XD Old follower! Thanks for stopping by my FF. I have had to limit the amount of physical books I buy due to space. So I buy a lot more ebooks now, which is great coz i always have them with me. I like this question because just yesterday I was going through my inventory of books and deciding which ones I should get rid of. It’s not something I do regularly but every year I go through a purge and clean out my closet and bookshelf. Get rid of things I know I will never wear again or read again and give them away to other people who would want them. It helps other people and it makes room for me so I can get more things. Right now I literally have no more space to store anymore books that doesn’t involve putting them on the floor (which I can’t do because my roof leaks and floor floods) so I need to make more room. I love library books b/c they're the cheap option, but when they turn out to be a really good book I hate having to bring them back. It's like saying goodbye to a really good friend. I like to own all my favorite books - which is why I have way too many books and a wish list that's also dangerously long. I love waking up each morning and seeing my books lined up neatly on my bookcase - I've gotten rid of a bunch before and it SUCKED, so I know I'd never do it again. I love my books. I love watching them on the shelves, I love flipping the pages of the ones I have already read. I love books. Mine stay on my shelf too. I could never get rid of them. your answer is similiar to mine, i also just delete the kindle books i have finished reading. I'm addicted to Kindle books! Only a few of them would make it onto my physical book shelf though. That's reserved for those 5 stars "I'll read you again, and again, and again" type of books. Thanks for stopping by earlier! Old follower. I never use the library, so if I tried to keep all my books, I would be dead underneath a house of books. I love surfing through my kindle library. It's light and super organized! Already following you and Parajunkee :) Great question this week for avid readers. I do the same Alison! I'll keep my ebooks on my Nook, but I need to start archiving the ones I've read and probably won't read again for awhile. This is my first #FF (and definitely not my last). What a great book hop! Here's a link to my post. Hey Alison, thanks for stopping by. I have to fight my hoarding tendencies more for space reasons than anything else. I love to keep my books as well. Although I keep rearranging my shelf and making some changes here and there so I handle the books a lot and they don't gather much dust that way. Awesome answer, Alison! Thank you for stopping by my post earlier. Just returning the love! Happy reading! And thanks for dropping by on Vanilla Moon Blog. I'm the same, I'd hate to get rid of my books! I'm a new blogger, and follower of yours. I am looking forward to participating in the Follow feature. I plan to add my name to the list and check out others blogs. This is a great feature. Great hop! This is my first #FF and I am loving it. same here =) and welcome back Alison. Thank you for stopping by. Happy reading! Hello, new follower. It's hard for me to ever get rid of books! But when I do, I like to donate to schools. Books collecting dust is my specialty sometime too..I can't seem to part with any of my books..not that I have very many in the first place but I still love collecting and saving any books I get. I read on my phone alot too, it makes taking books with you alot easier.